If you are in a dental crisis, you need a dentist you can trust. Experience matters, especially in an emergency situation. You can trust Dr. Zamani! He has been practicing since 1997, after receiving his D.M.D. degree from Tufts University School of Dental Medicine in Boston, Massachusetts. 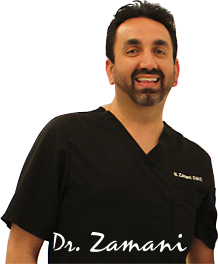 Dr. Zamani is compassionate and his goal is to ensure your comfort, inasmuch as is possible. You can expect unmatched, caring, and honest interaction throughout your emergency treatment. (Of course, Dr. Zamani always exemplifies honesty and integrity, and has built his dental practice on these core principles). His expectations are the same of his team, so rest assured that anyone on staff that you interact with, will give you the same compassionate-filled quality service. Staying on the cutting edge of technology and dental medical advances is important to Dr. Zamani, who frequently takes continuing education programs and seminars. He is a member of the American Dental Association, The CA State Dental Association, and Summit Dental Study Club. Contact us to schedule a complimentary consultation to see how Dr. Zamani can transform your smile with youth-restoring techniques that will change your life. 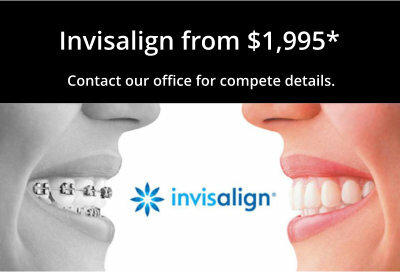 We have two locations to serve you – Sherman Oaks and Irvine, CA.